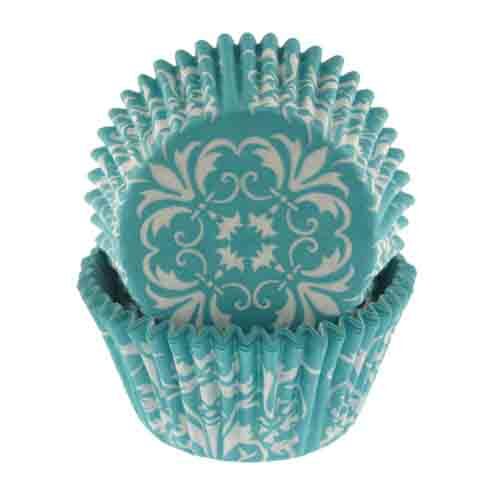 AMS-7554 Units: 1 Dimensions: 11½" diameter x 11¾" tall Use this cupcake stand to hold cupcakes, appetizers, or other small treats. Stand will hold up to 24 standard size cupcakes. 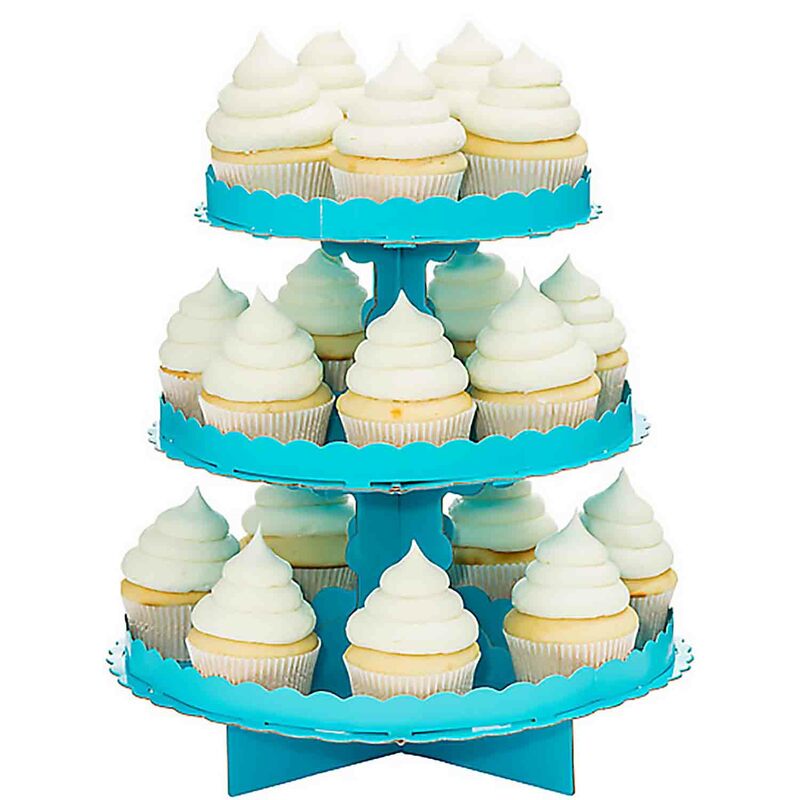 This 3-tier stand is made of cardboard and has scalloped edges.